"To God Be The Glory for all the Things He Has Done". This statement personifies and captures the essence of all that Donna does, who she is and what she is called to be. Donna grew up in Tabernacle Community Baptist Church and avows that Tabernacle provided her a spiritual foundation and roots. Presently, Donna serves as an Associate Minister, New Members Orientation Instructor and an associate Bible Study Teacher. The Lord called Donna into ministry in 2000. She was licensed in 2002 and ordained for formal ministry in 2013. She was led to prepare herself for ministry by entering into Seminary. She completed her Master of Divinity Degree and graduated from Northern Seminary in Lombard, IL. She is currently completing a Doctoral program at Northern Seminary. Donna serves full time as an Elementary Principal of a Christian school. 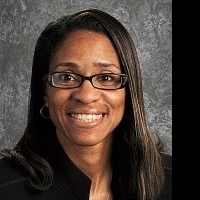 She has earned graduate degrees in Educational Leadership from Cardinal Stritch. Donna serves as a mentor, facilitator, speaker and coach. Her greatest joy is pleasing the Lord and teaching God’s Word. She is grateful for godly parents who shaped and molded her life. In the spring of 2017 Donna received her doctoral degree in Ministry. Scriptural Motivation: Jeremiah 29:12-13 "Then ye shall call upon me, and go pray unto me and I will hear you. And you shall seek me, and find me, when you search for me with all your heart".